We have recently re-organised our website and the page requested could not be found. Please browse via our division below or contact us for assistance. Specialising in the International rental of medical and laboratory Point Of Care equipment to the Clinical Trials industry. QBC dry haematology analysers, QBC fluorescence microscopy solutions, Arkray POC, Vision Microscopes and Clinispin centrifuges direct to EMEA distributors. 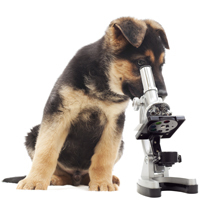 Laboratory equipment, diagnostic and critical care products direct to veterinary practices across the UK. 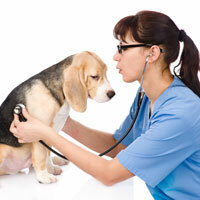 Laboratory equipment, diagnostic and critical care products for worldwide veterinary distributors. 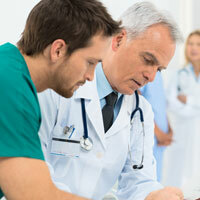 Specialists in Wet Chemistry solutions for UK veterinary practices. The Clinical Trials division of Woodley Equipment specialises in the international rental and supply of medical and laboratory equipment to the Clinical Trials industry. Working with Contract Research Organisations (CROs), Pharmaceutical and Biotechnology companies, Woodley has provided flexible, tailored equipment solutions for almost 30 years. Woodley Lab Diagnostics specialise in providing Point Of Care lab diagnostics products across Europe, Africa and the Middle East via their network of distributors. Their products are focused on dry reagent technology that enables diagnostic tests to be performed at the Point Of Care, from common settings such as doctors offices and small labs to the most remote and rural locations such as the military, outreach clinics, oil & gas rigs, cruise liners and embassies. There are three veterinary divisions at Woodley Equipment; UK Veterinary, Veterinary Diagnostics and Quantum Vet Diagnostics. The UK Veterinary division supplies veterinary equipment direct to practices across the UK and specialises in providing in-practice lab diagnostic solutions including haematology, chemistry, microbiology, toxicology and endocrinology amongst others. The Veterinary Diagnostics division supply the same veterinary equipment to International vet distributors with a specialist interest in laboratory equipment, diagnostic kits and critical care products. 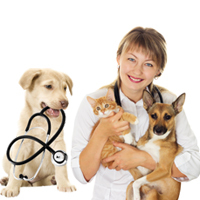 Opportunities are available worldwide for new distributors of veterinary equipment, please contact us for more details. The Quantum Vet Diagnostics division was created specifically to focus on wet chemistry analysis recognising the growing needs of a busy Veterinary practice, they have since widened the product range to include a focus on endocrinology veterinary equipment.